Elizabeth Liebert is committed to offering resources to future leaders of the church to help them understand and deepen their own spiritual grounding and to extend their ministries of spiritual nurture and care of their congregations and other ministries. 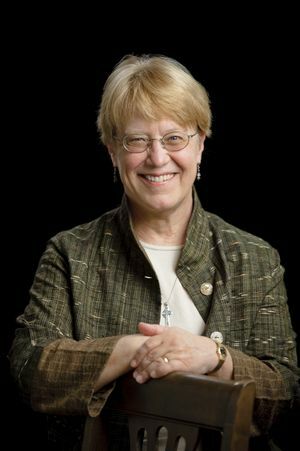 Her current research centers on aspects of the academic discipline of Christian Spirituality, and, in particular, on the practice of discernment, both personally in in institutional settings. She is a member of the Sisters of the Holy Names of Jesus and Mary (SNJM) an educationally oriented Roman Catholic women’s religious congregation. “Academic Life and Scholarship as Spiritual Practice” in Berkeley Journal of Religion and Theology, spring, 2018. The Way of Discernment: Spiritual Practices for Decision Making, Westminster/John Knox Press, 2008. A Retreat with the Psalms: Resources for Personal and Communal Prayer, Paulist Press, 2001. The Spiritual Exercises Reclaimed: Uncovering Liberating Possibilities for Women, Paulist Press, 2001. “Discernment for our Times: A Practice with Postmodern Implications,” Studies in Spirituality 18, 2008.